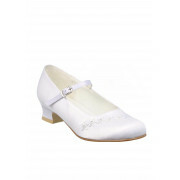 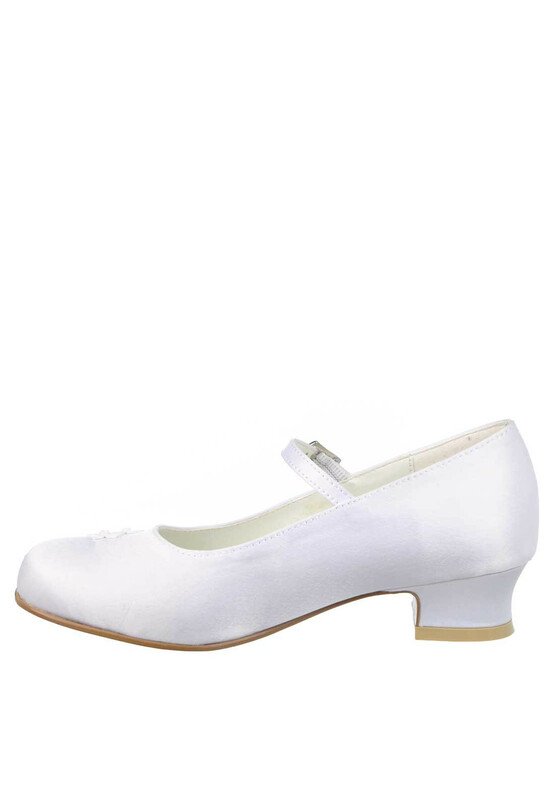 Ensure your little lady blooms on her First Holy Communion with these stunning white satin shoes by Little People. 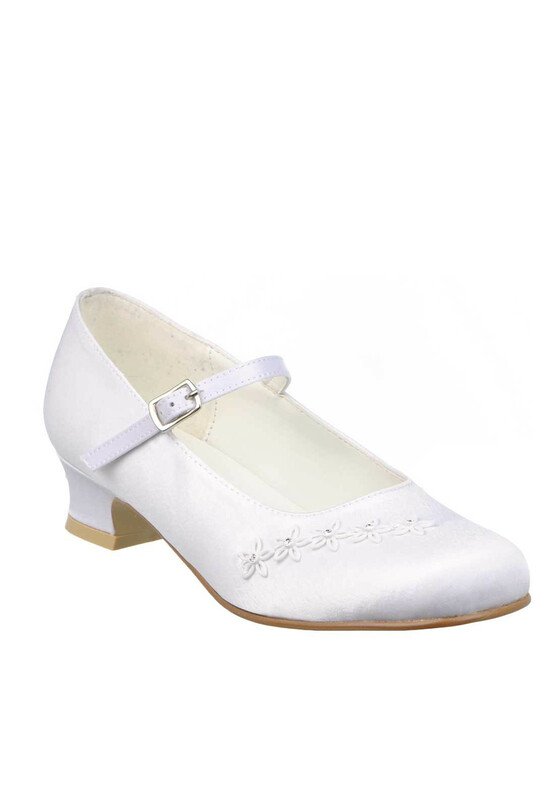 This pretty pair have Diamante embellished flowers, a buckled strap fastening and are complete with a cute low heel. 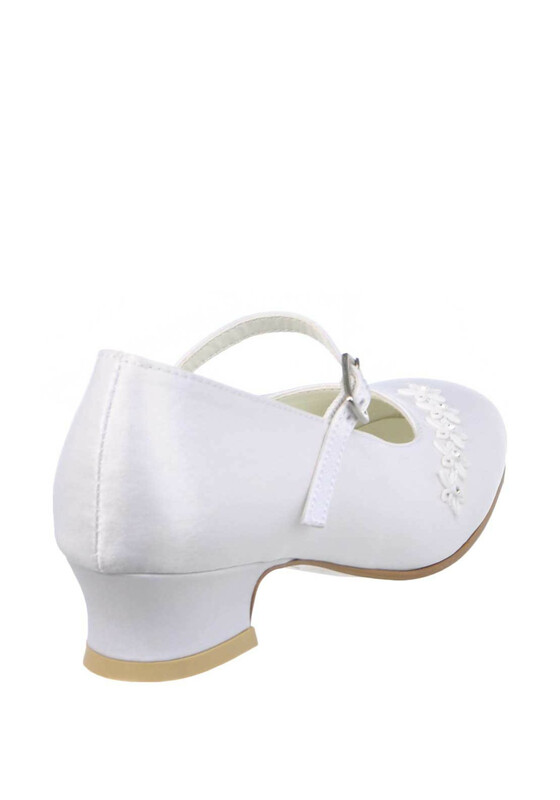 The perfect match for her special dress.